Big Brothers Big Sisters of Tampa Bay, along with HPC Associates and 22Squared, earned awards this year for PSAs and ads created to bring awareness to the nonprofit agency. Big Brothers Big Sisters of Tampa Bay collaborated with HPC Associates and 22Squared to create public service announcements and ads that would bring awareness, funds and volunteers to the organization. Thanks to their collaborative efforts, the agency won awards for these fun and unique videos. Big Brothers Big Sisters of Tampa Bay and HPC Associates were named the winners of the Award of Distinction at the 22nd Annual Videographer Awards for producing a public service announcement (PSA) regarding the new Big Brothers Big Sisters’ statewide vanity license plate. The Award of Distinction is awarded for projects that exceed industry standard with approximately 16 percent of entries receiving the award. Big Brothers Big Sisters of Tampa Bay’s Director of Marketing and Communications, Claire Selius said, “The PSA takes a tongue-in-cheek approach to being a mentor for Big Brothers Big Sisters of Tampa Bay (BBBS) and was created in collaboration with HCP Associates to bring awareness to our statewide specialty license plate program.” For each license plate that is sold, Big Brothers Big Sisters receives $25 to help kids across Florida. Earlier this year, the Big Brothers Big Sisters of Tampa Bay and the ad agency 22Squared won the Positive Change Bronze Effie for their work on the Florida Man Project. 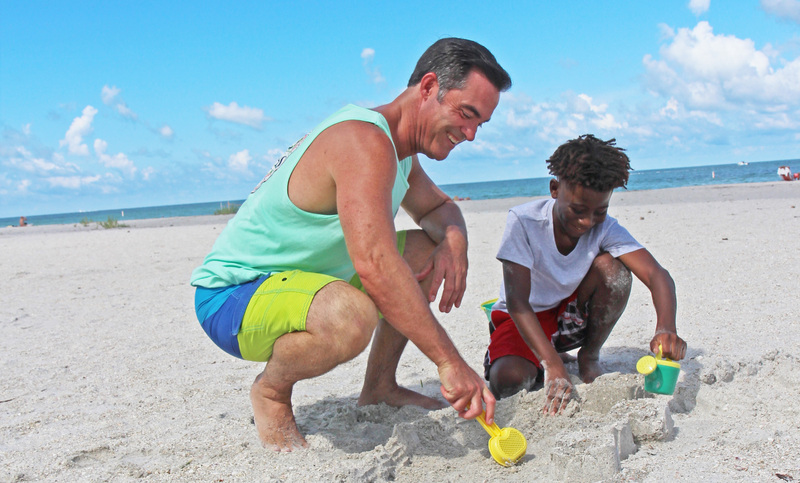 The ads aimed at recruiting much needed male mentors for Big Brothers Big Sisters of Tampa Bay by using click-bait style headlines featuring the wacky “Florida Man” that has become synonymous with weird news from the state. The ads took the Florida Man concept and made it into a positive, featuring videos of Florida men who are making an impact in the community by being a mentor. The videos encourage other Florida men to make Florida proud by becoming a Big Brother. The ads successfully increased the number of applications for male volunteers. You can learn more about this advertising method with a short video here. View all the ads from the Florida Man project here.